The Rangers will look to build off their 4-0 win this Monday as they take on the Coyotes. Photo courtesy of MSG Photos. A familiar face will be back on the Garden ice as the Rangers close out their brief three game home stand. The Rangers (4-2-1) take on the surprisingly strong Arizona Coyotes (3-2-1) for the first time the Keith Yandle trade last year, setting the scene for a battle with some ties on either side. Yandle will face off against the only other team he’s known, a team he played with for eight years, while former Rangers draft pick and last year’s Lars Erik Sjoberg Award winner, Anthony Duclair suits up for Arizona. The Coyotes have been competitive in all of the six games that they’ve played so far, winning their first three games before losing three straight, including Tuesday’s overtime loss to the New Jersey Devils. However, they’re averaging three goals a game, and have taken down the Kings, the Penguins and the Ducks. 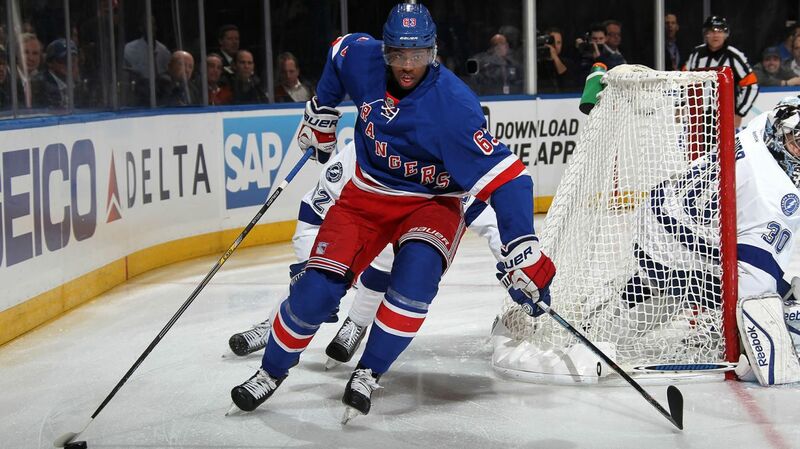 Their leading goal scorer is Anthony Duclair, a talented 20 year old winger drafted by the Rangers in 2013. He made his debut with New York last season, tallying a goal and six assists in 18 games. However, he’s been tremendous to begin the season in the desert, scoring five goals and six assists. He’s their leading goal scorer and a big threat on the second line. Anthony Duclair made his NHL debut with the Rangers last year, but will now lace up his skates as the Coyotes leading goal scorer. Photo courtesy of MSG Photos. Another young stud to keep an eye on is Duclair’s buddy and World Junior Hockey teammate, Max Domi. The 12th overall draft pick in 2013 is off to a hot start, scoring three goals with four assists in his first six NHL games. Martin Hanzal will be playing in his 500th career game tonight. The 28 year old forward leads the team in scoring with eight assists. Mike Smith had a really rough season last year, posting a 14-42-5 record with a .904 save percentage and a 3.16 GAA. His confidence seemed shattered, he wasn’t winning despite some good performances, and he had no defense in front of him. Through six games this season, it looks like the old Mike Smith is back. Smith is 3-1-1 with a 2.39 GAA and a .932 save percentage, along with a shutout, a 37 save performance against the Anaheim Ducks. His 6-foot-4 frame is a good size for goalies, and allows him to take up a lot of the net while still covering the crease with his pads. For the Rangers, Henrik Lundqvist will be back in net after getting the night off on Monday, when Antti Raanta blanked the Sharks in his first game as a member of the Rangers. Lundqvist has been playing out of his mind, compiling at least five highlight reel saves already, and posting a 2.16 GAA and a .931 save percentage. The King is back in net. Photo courtesy of MSG Photos. Obviously, Keith Yandle is going to be the player to watch for the Rangers. He’s off the a pretty good start this season, with four assists in seven games, but Vigneault has challenged him to do more. He should be energized going up against his former team. Despite rarely playing 20 minutes a night and being paired with possession black hole Dan Girardi, both detriments to his game and point production potential, he’ll get a lot of time on the power play, and once guys like Rick Nash, Chris Kreider and Derick Brassard get their game going, the assists and points will pile up. I’m penciling him in for at least a point or two tonight. 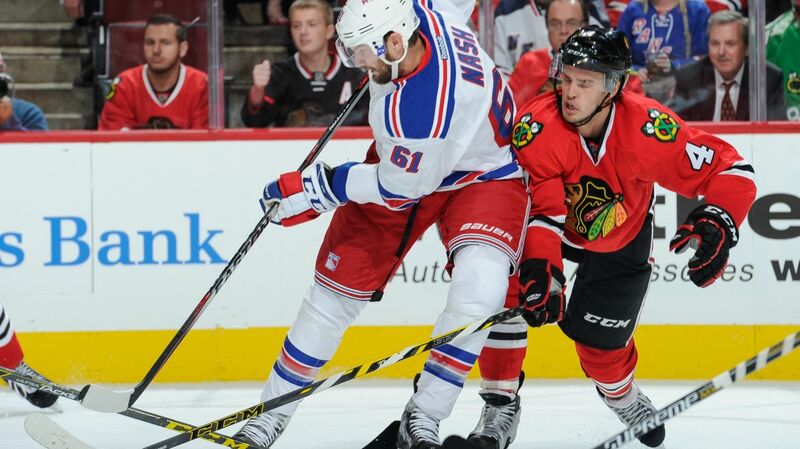 Rick Nash was phenomenal against the Sharks, despite not scoring a goal. He picked up an assist on a play that was a half-inch away from being a deflection goal for him. He was physical, forechecking, creating tons of chances and even ringing one off of the crossbar. If I had to guess, tonight is the night he scores his first goal. Oscar Lindberg has been quieter these past few games after scoring four goal in the first three contests to begin the season. However, he too was drafted by Arizona, and the Rangers stole him away in a prospect swap trade. Lindberg really has been good so far, and I think the third line will break out of their funk tonight. Derek Stepan missed yeaterday’s practice following a dental procedure where he had a wisdom tooth removed, as well as removing some screws from his jaw which was broken during the 2014 Eastern Conference Finals. The latter was giving him more of a problem, although he did participate in the optional morning skate today. He will be a game time decision, but is expected to play. If he cannot go, Kevin Hayes and Oscar Lindberg would likely both be centers, with one of them moving up a line. 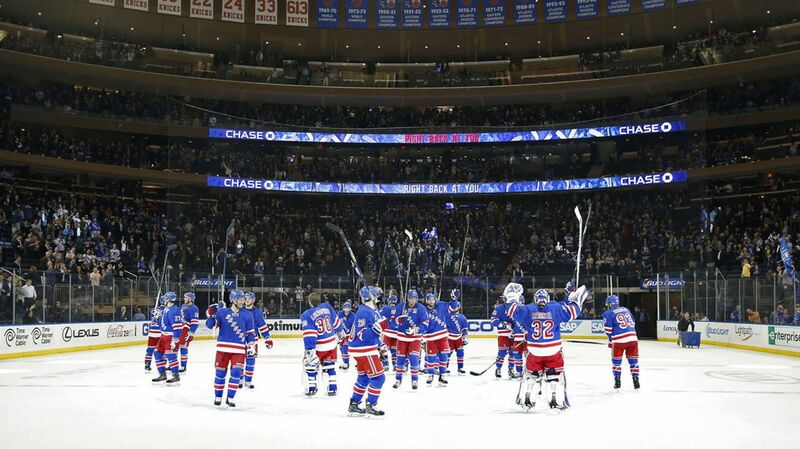 The Rangers and the Coyotes will face off at Madison Square Garden at 7 PM. The game will be broadcasted on MSG Network. Posted on October 22, 2015, in Game Previews and tagged Alain Vigneault, Anthony Duclair, Arizona Coyotes, Chris Kreider, Dan Boyle, Dan Girardi, Derek Stepan, Derick Brassard, Dominic Moore, Duclair trade, Dylan McIlrath, Emerson Etem, Jarret Stoll, Jesper Fast, JT Miller, Keith Yandle, Kevin Hayes, Kevin Klein, Madison Square Garden, Marc Staal, Mats Zuccarello, Max Domi, MSG, New York Rangers, New York Rangers blog, NHL, NYR, Oscar Lindberg, Rangers, Rangers blog, Rick Nash, Ryan McDonagh, Viktor Stalberg, Yandle trade. Bookmark the permalink. Leave a comment.